FUTEC, a pioneer of 100% automatic flaw detection systems for print and surface inspection for commercial, packaging and label markets, and Maxcess, a global leader in innovative products and services for the web handling industry (Fife Guiding Systems, Magpowr Tension Control Systems, Tidland Shafts, Chucks and Slitting Systems, Webex Precision Rolls), today announced a strategic sales cooperation that will allow both companies to cross-promote each other’s product portfolio to customers in Germany, Austria and Poland. Through this collaboration Futec and Maxcess will be able to provide a wider range of solutions to customers, meeting their growing requests for a one-stop-shop for all their web handling needs. The agreement will empower both FUTEC and Maxcess to better support customers throughout the initial consultation periods and advise them on how to make their web production more effective and competitive. Customers will benefit from a more comprehensive product offering, closer sales support, and the combined application knowledge and experience of Futec and Maxcess. This cooperation covers Germany, Austria and Poland with a view to extend it to more regions in the future. 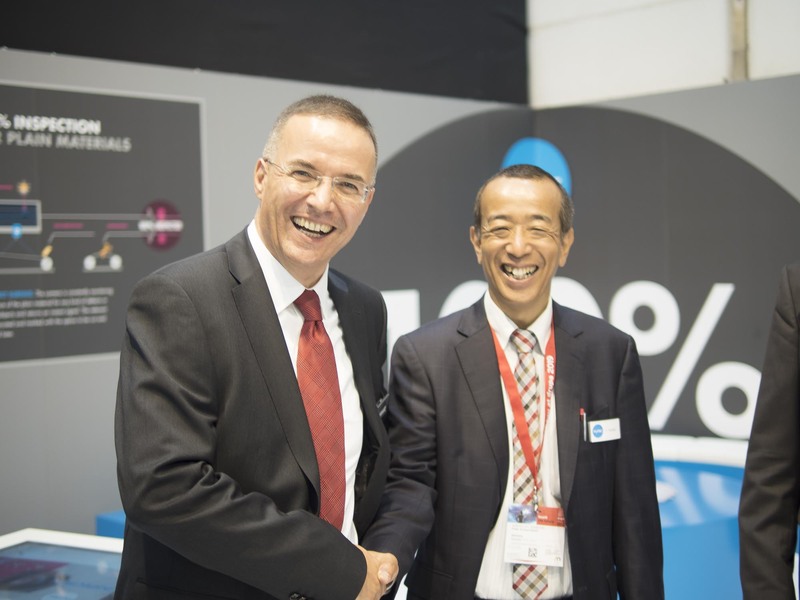 Visitors to the FUTEC’s drupa stand have already seen evidence of the new collaboration. FUTEC’s new plug-and-play Smart Cameras for the 100% inspection of web-printing applications and for the inspection and quality control of plain surfaces have been demonstrated in conjunction with web guiding systems from Maxcess. Founded in 1977 in Japan, FUTEC is a pioneer of 100% automatic flaw detection systems for print and surface inspection for commercial, packaging and label markets. The company’s strong investment in its in-house R & D facilities enable it to develop innovative technologies that help printers to improve profitability and maintain client relationships by offering 100% product transparency. With over 250 employees and more than 9,000 customer installations worldwide, FUTEC is committed to pushing the boundaries in technological developments, which is underpinned by its strong Japanese heritage. FUTEC recently expanded its European business operations by opening a European business hub to further improve the sales and technical service support in Europe. The business hub, which is headquartered in Germany, is also used as a dedicated customer training centre. With the strength of its wide range of web handling solutions, Fife guiding systems, Tidland winding and slitting solutions, Magpowr Tension Control and Webex Precision Rollers, combined with the largest factory-direct, certified sales and service team in the industry, Maxcess is the ideal partner for all your web handling applications. Thanks to our global presence and strong product portfolio, With facilities in USA, Germany, Poland, China, Japan and India, Maxcess is capable of ensuring sustainable and consistent level of service and support for our Customers in any region.